You are here: Home / News / Solutions / NEW: K2 Swing Door Lock for Cabinets. 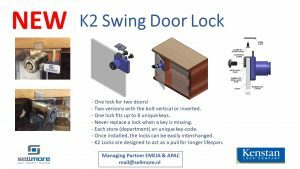 NEW: K2 Swing Door Lock for Cabinets. If you don’t want to drill a hole in the glass we have the new K2 Swing Door Lock for you! Fits any cabinet door. K2 Locks: unique locks for fine showcases & cabinets . – One lock for two doors! – Two versions with the bolt vertical or inverted. – One lock fits up to 8 unique keys. – Never replace a lock when a key is missing. – Each store (department) an unique key-code. – Once installed, the locks can be easily interchanged. – K2 Locks are designed to act as a pull for longer lifespan. 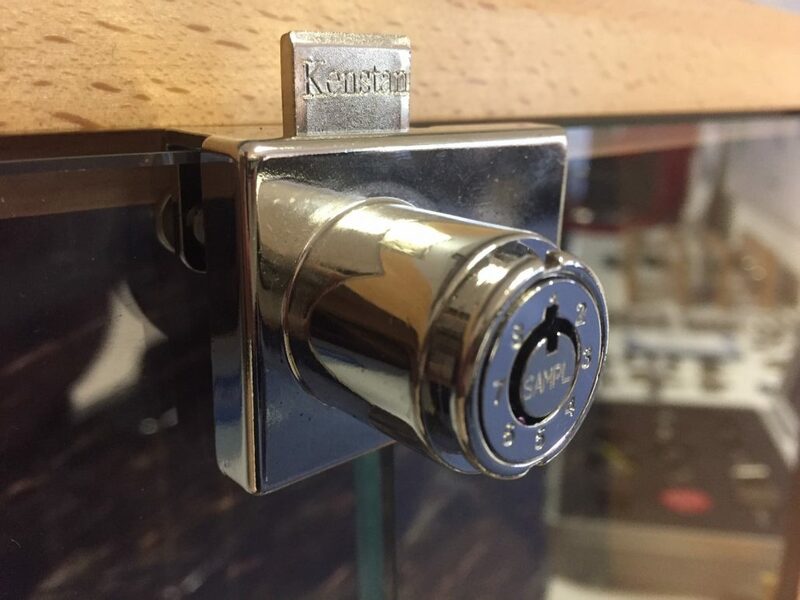 Bijenkorf Amsterdam installs K2 Locks from Kenstan. We get you any color that you whish for your locks.